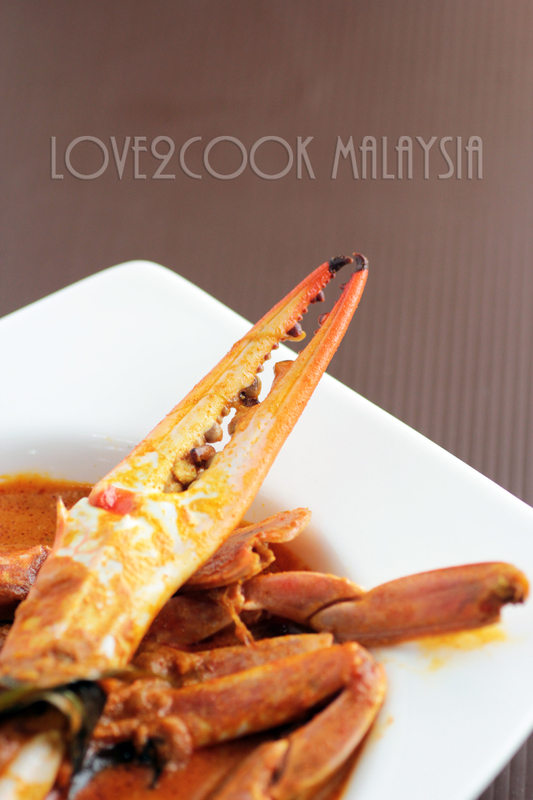 ♥ LOVE2COOK MALAYSIA♥: CRAB CURRY ~ My first attempt with Crabs!!! CRAB CURRY ~ My first attempt with Crabs!!! Seeing you all again on a fresh 2013! Happy New Year...wishing everyone a peaceful and beautiful year ahead! Now, moving on to my Crab Curry today. For your information, I don't like crab. Nothing due to allergies but I just never liked it since my younger days. My Mum makes delicious crab curry but I would only have the gravy but not the crab. My Hubby and son are true seafood lovers...be it prawn, fish or crab. My Hubby, knowing my dislike for crabs, never forced me to cook. Until one fine day, I was watching my Aunt preparing the ingredients for crab curry, looked really easy! I watched her making the crab curry until she served and thought to myself that I should give it a try, at least once! I also had a guilty conscience that I never made a dish which is really loved by my Hubby and son. 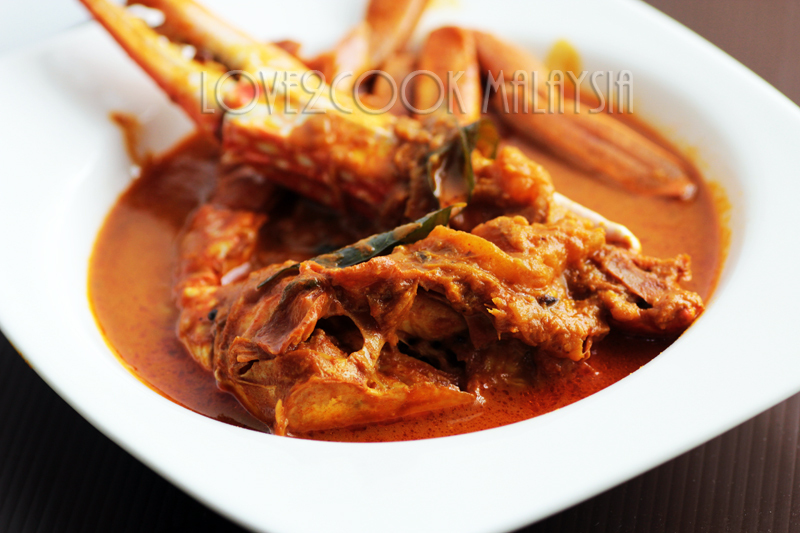 Thus, I told my Hubby that I will cook crab curry soon! We bought 3 pcs of XXL sized crabs at Tesco. Not sure on how to clean it, we requested my Mom to help demonstrate the cleaning and cutting, hehe! Finally, I made crab curry and believe me or not...it was a hit!!! Both hubby and son gave very good reviews of my curry, saying it's really good! Son gave me 100/100! That's a WOW for me as a first-timer. Guess I gonna cook more crabs now onwards! It's really satisfying to see my beloved ones enjoyed the dish. (A) Rub the crab pieces with turmeric powder & salt and leave aside for 30 minutes. Heat up a wok with oil and saute fenugreek seeds. Add sliced onion, curry leaves and green chillies. Stir for 1 minute. Add pounded ginger and garlic. Stir for 2 minutes and add in the marinated crab pieces. Mix thoroughly and cover with lid. Allow the crabs pieces to change color to slightly red and the juice from crab dries up a little. Keep stirring once a while to avoid burned bottom. I left them to cook for about 10 minutes. Add the paste of curry & chilli powder. Mix evenly and add water, tamarind paste and salt. Allow the gravy to boil for another 10-15 minutes. Add tomatoes and coconut milk, boil again. Add salt if needed. That looks delicious...yum. Superb clicks. OOOOOOOOOOOOO! I love it. 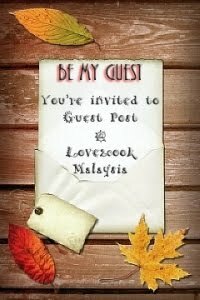 will invite myself over. 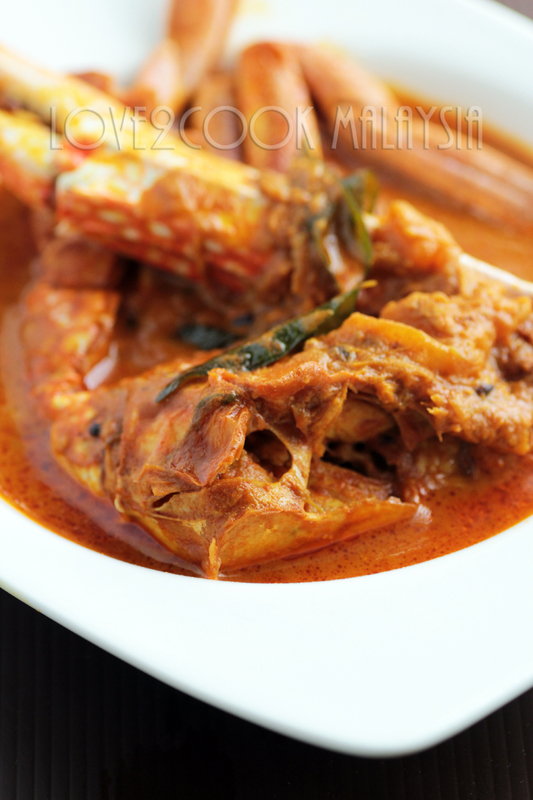 Cant believe its your first attempt, irresistible fingerlicking crab curry Sis. the curry looks rally yummy !!!! How can I stop drooling at this. Your dishes are superhit at my home. Thank you for sharing them. Keep up the good work. The dish is true hit when the kids like it....mouthwatering crab curry! Wow! It must have tasted great, your clicks are breath taking. hi, what a beautiful day to get your crab resepi. pass by the seafood shop. blueswimmer crab,36AD per kilo, apa lagi beli lah.follow your resepi,ah wow.delicious, my hubby dont eat seafood, alamak, i eat bymyself.thank you so much, you make my day. Awesome dear, wonderful drool worthy curry!!! Hi Love, wooooow.......I love your crab curry, awesome. Look so mouthwatering, I definitely need 2 plates of rice to go with this dish. Have a beautiful day ahead,regards.